We have added two new buttons to the classroom dashboard: Level Key and Open All Student Dashboards. The Level Key lists in order student learning levels by course. Open All Student Dashboards is for viewing, printing, and exporting a classroom’s individual dashboards with visual data. To better clarify students’ learning levels on the dashboard, we added the Level Key. 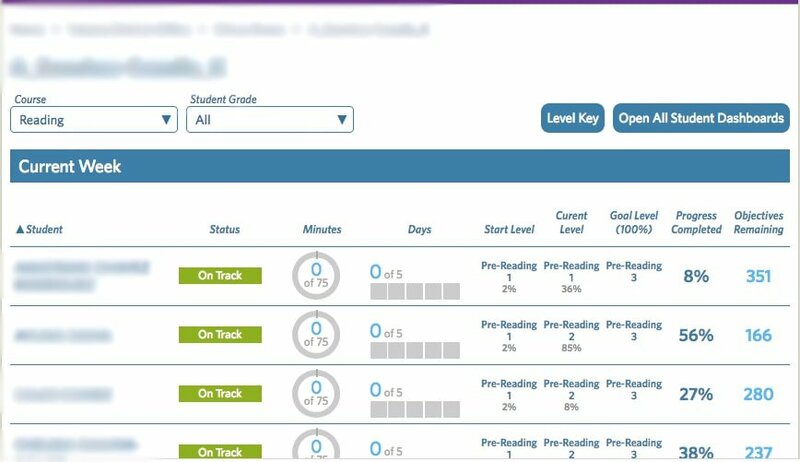 Clicking on Level Key in the upper right-hand corner displays the order of levels for the Reading, Math & Science, and SmartStart courses. The Open All Student Dashboards button allows you to access your entire classroom’s individual dashboards for viewing, printing, or exporting purposes. On the dashboard, select the desired Course and Student Grade, then click Open All Student Dashboards. Your report could take between 1-10 minutes to load based on classroom size. If you have a larger class, you can let the report generate in the background while viewing other pages, but do not close the report window. 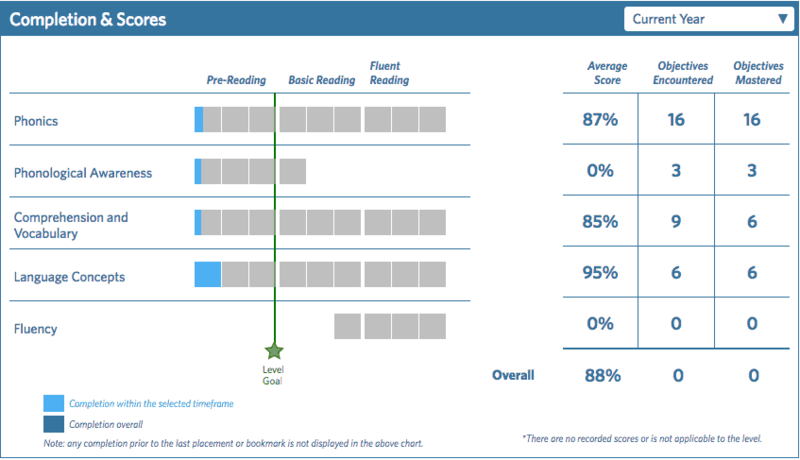 Once the report loads, you can view each student’s expanded dashboard in a single view. Each dashlet’s timeframe generates to the default settings but can be adjusted on the classroom level before loading the report. If you would like to print or export your report to a PDF, you can do so in the print dialogue box. You can print your entire classroom’s dashboards, select specific pages to print, or click the Export button to save as a PDF. 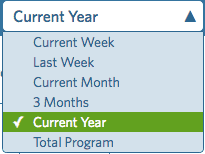 The Start and Current Level columns will also display the percentage a student has completed within their level. If, for example, a student has completed half of the Pre-Reading 2 level, their percentage will be 50%. Depending on classroom needs, Goal Levels can be manually set for each student or preset for entire classes or grades. If a student reaches their Goal Level before the end of the school year, teachers should consider increasing the goal. We have also added two new categories, Progress Completed and Objectives Remaining, onto the classroom dashboard. In some cases, the Objectives Encountered and Objectives Mastered categories will display different numbers. This may mean that a student has encountered an objective without mastering it, or they encountered an objective that is not scored.